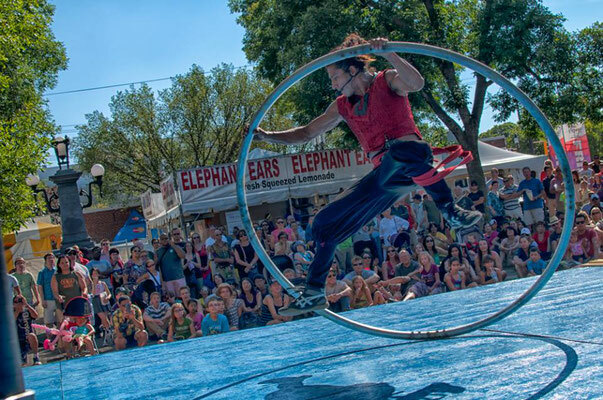 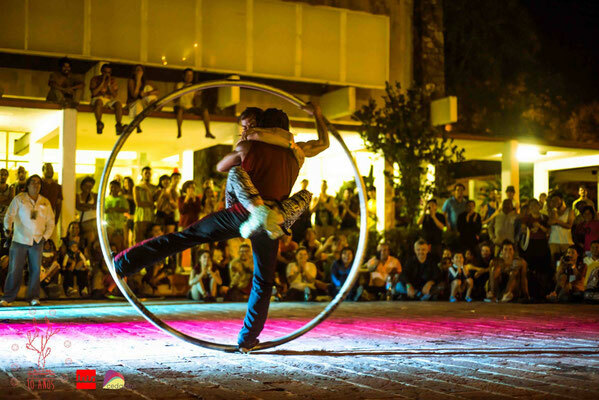 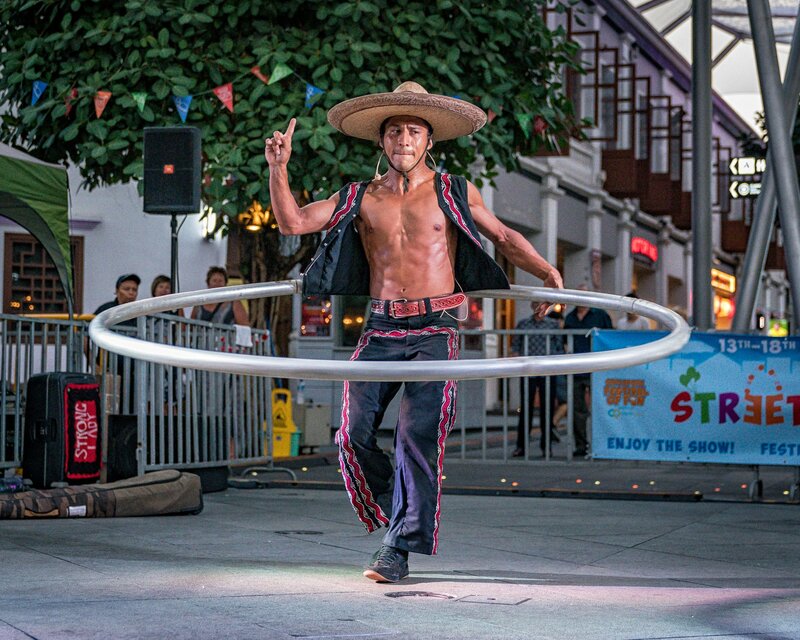 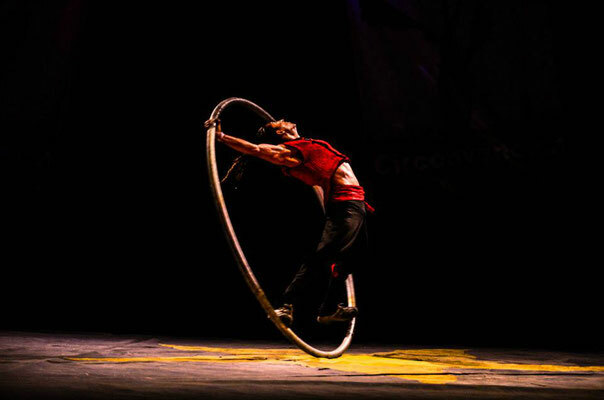 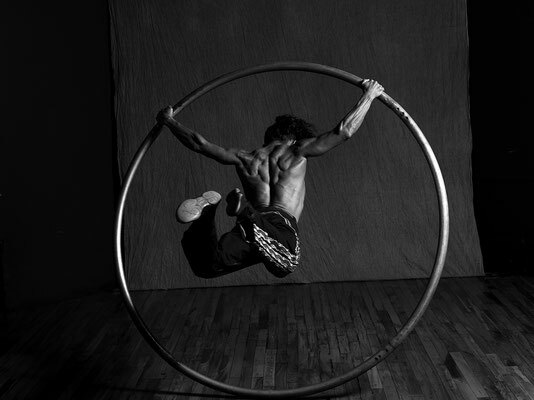 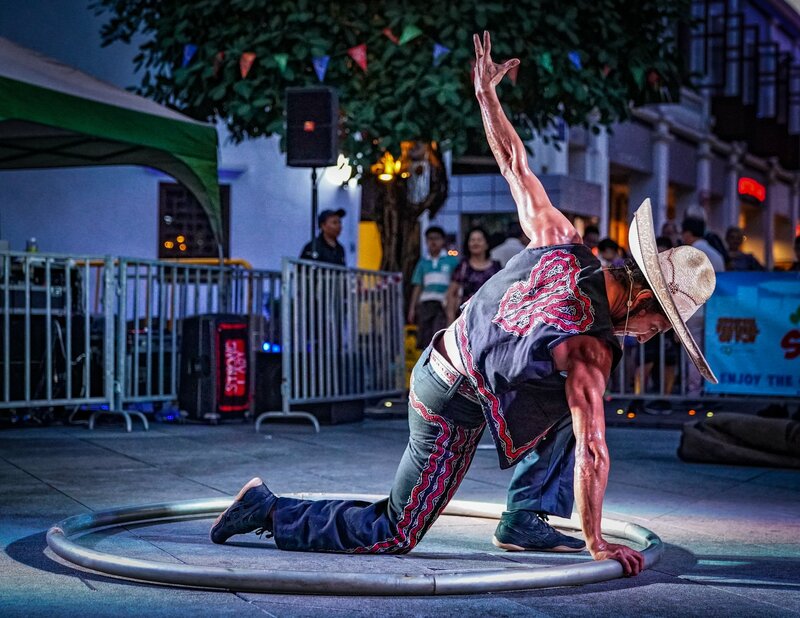 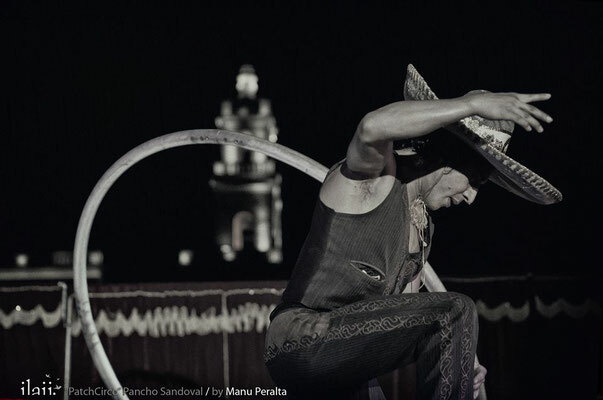 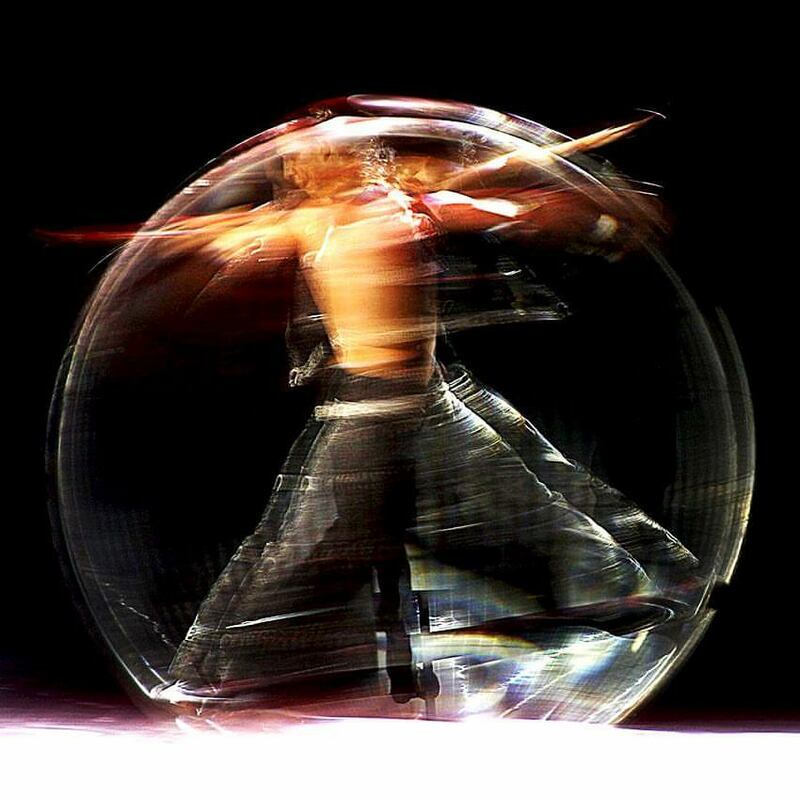 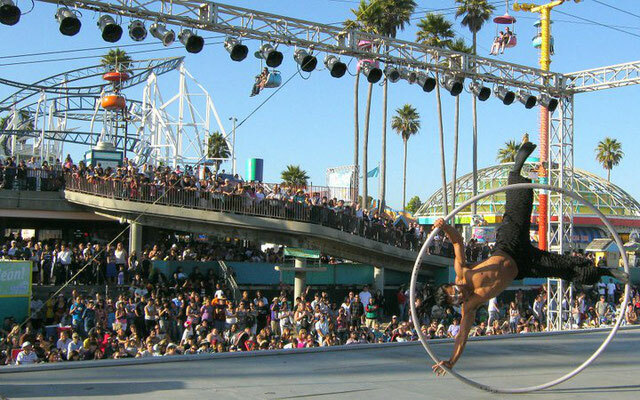 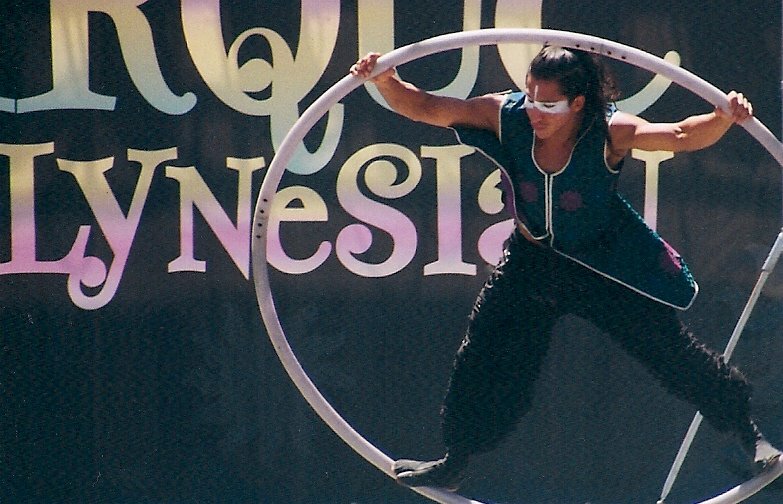 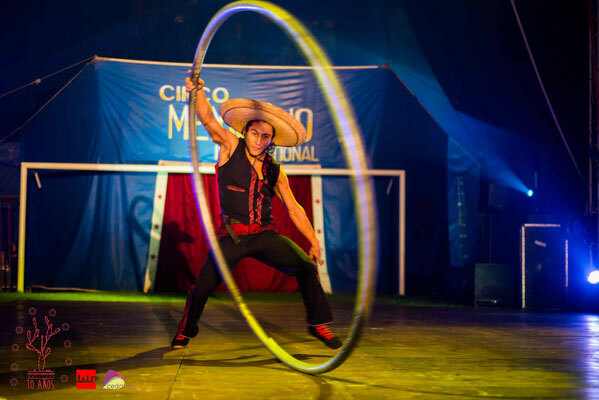 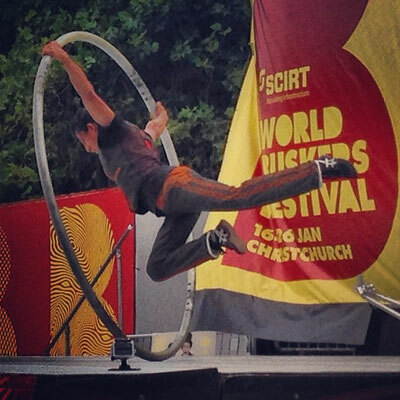 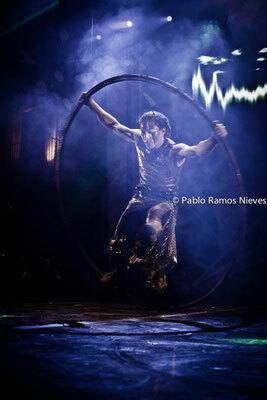 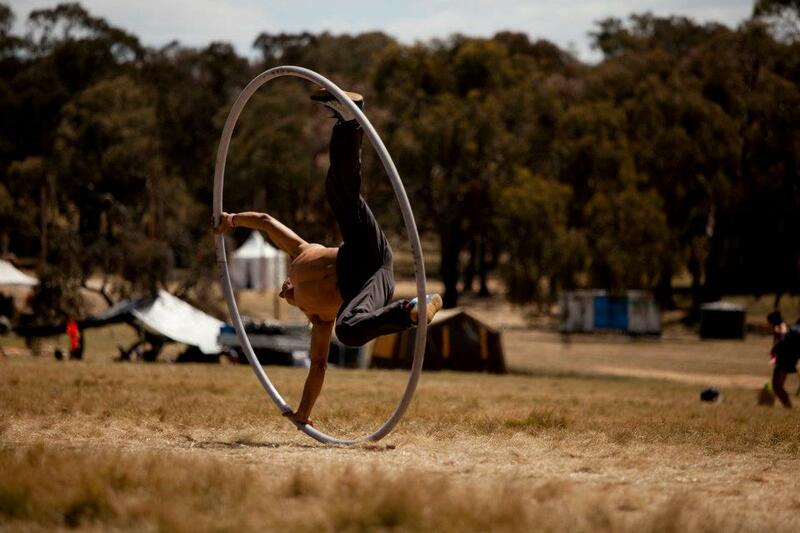 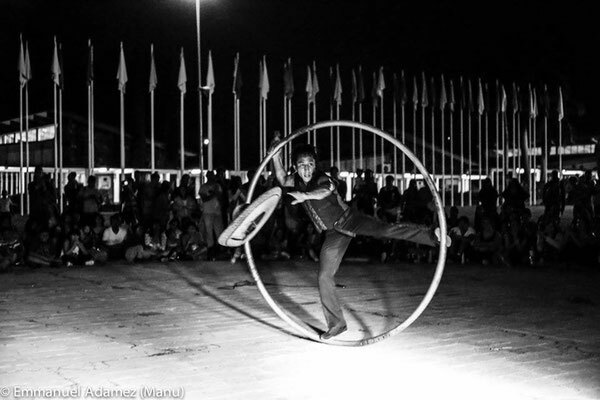 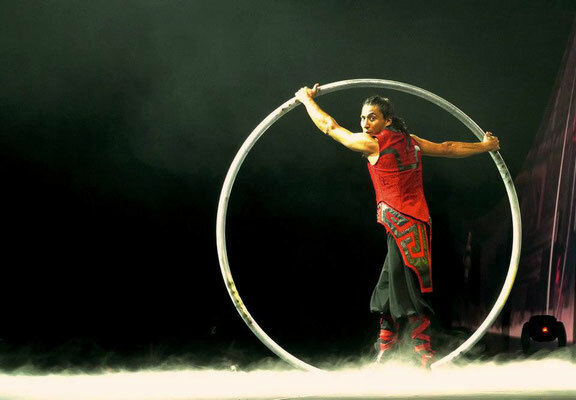 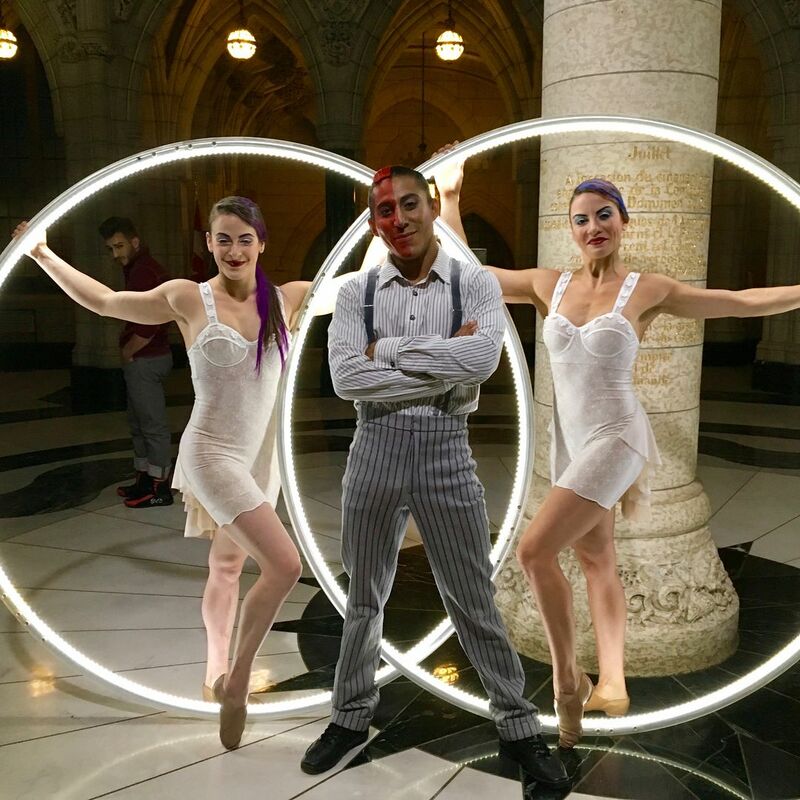 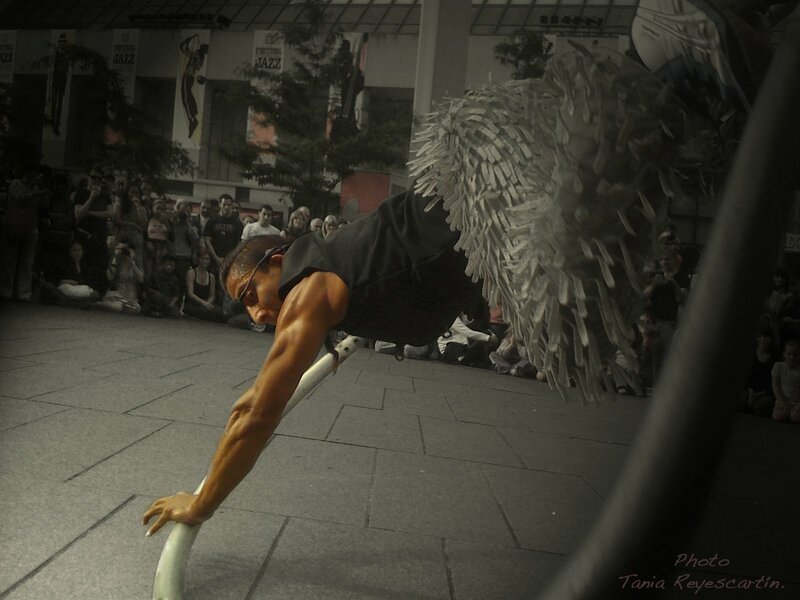 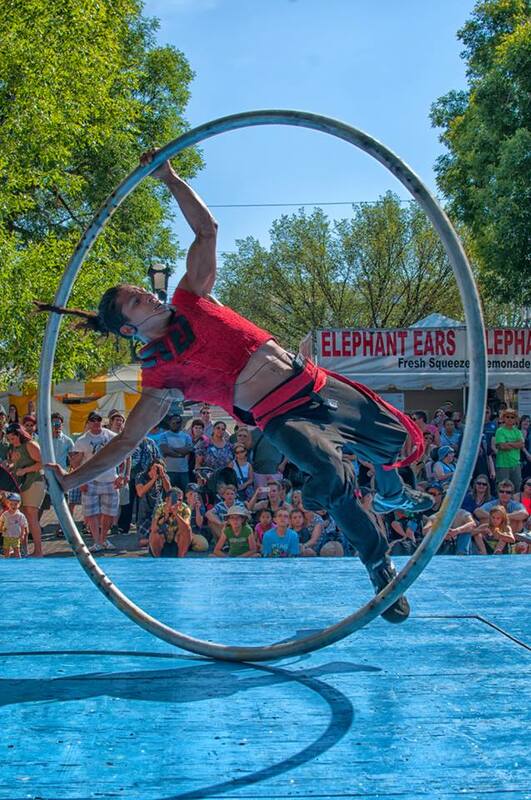 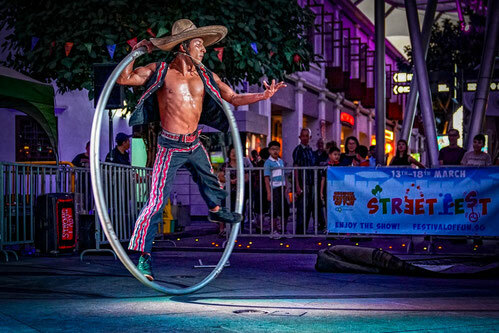 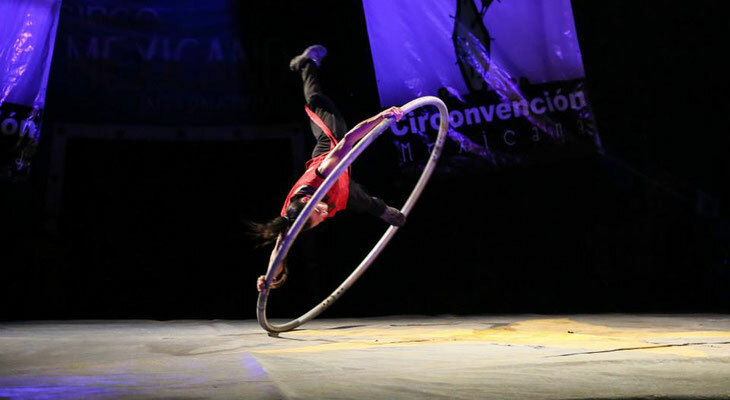 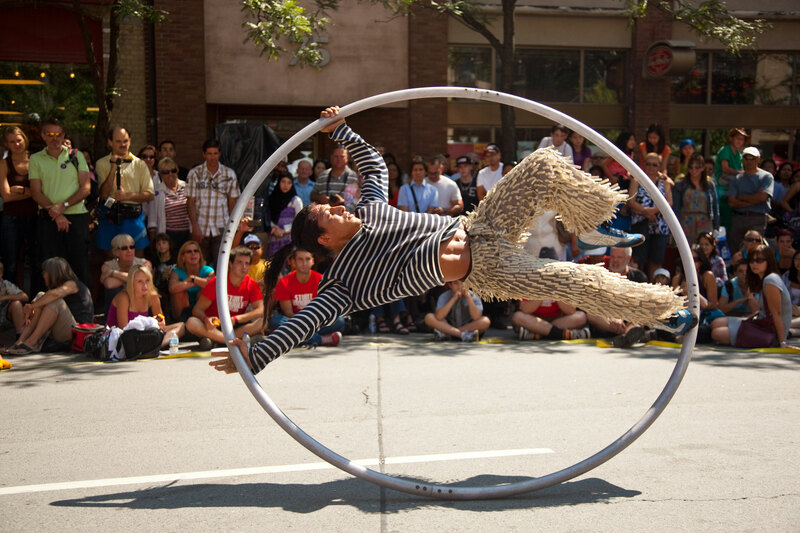 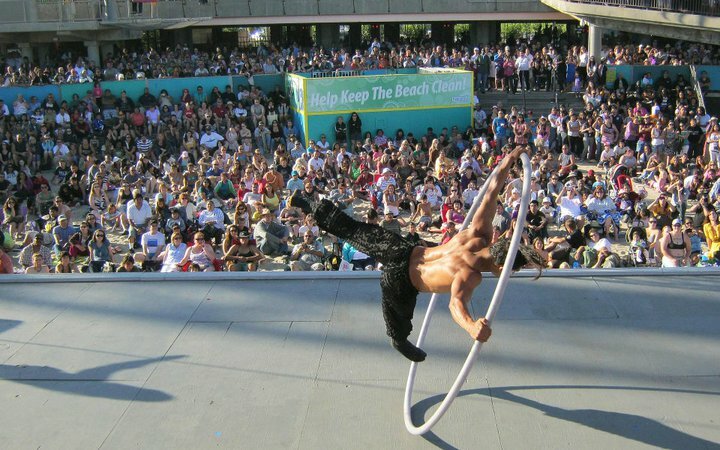 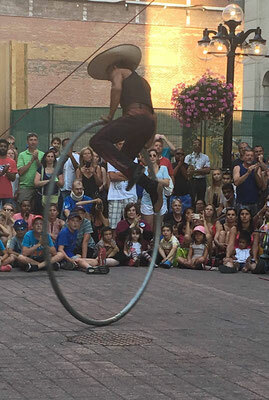 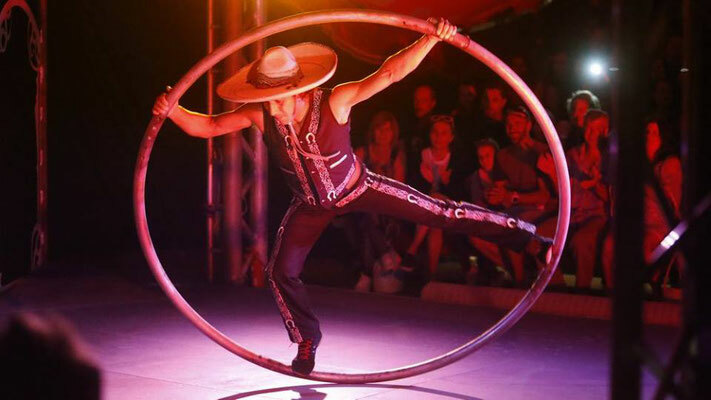 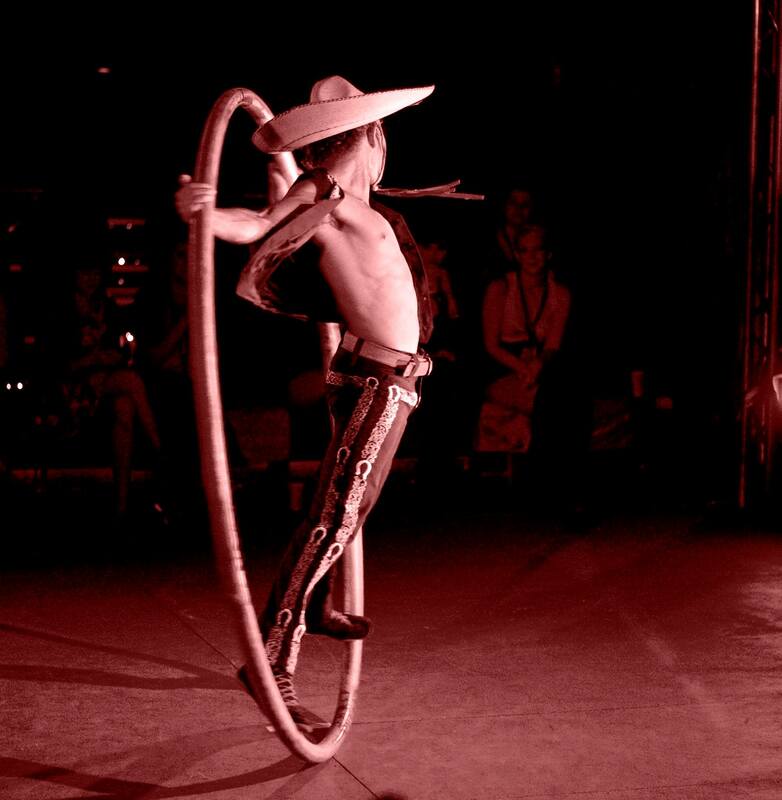 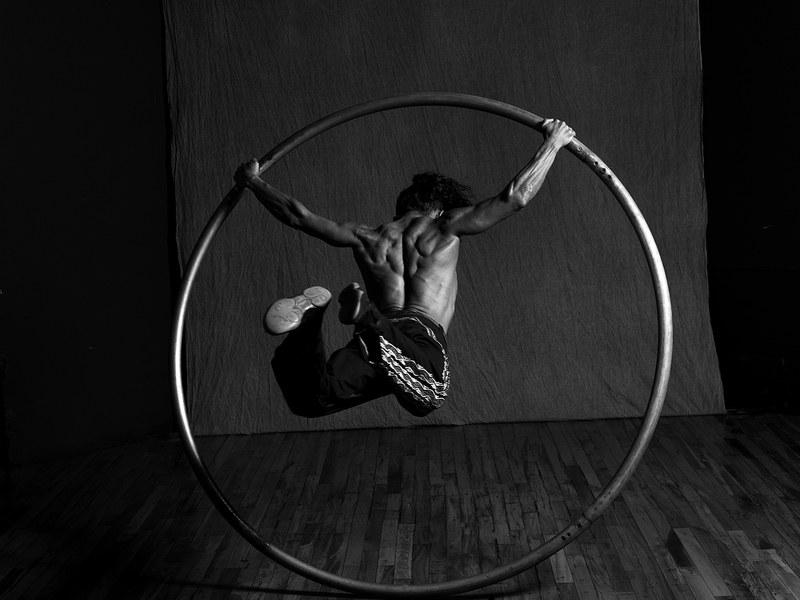 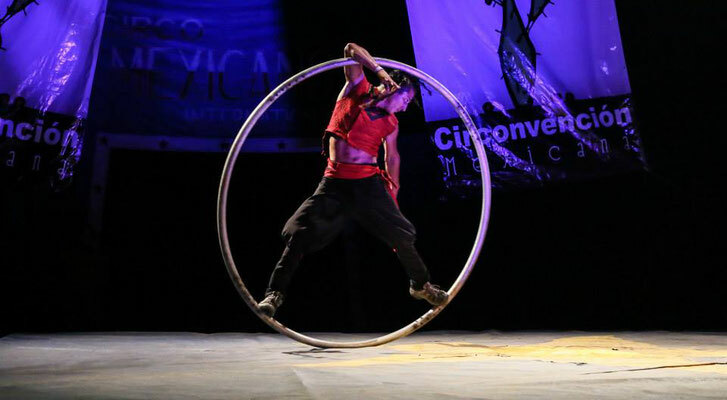 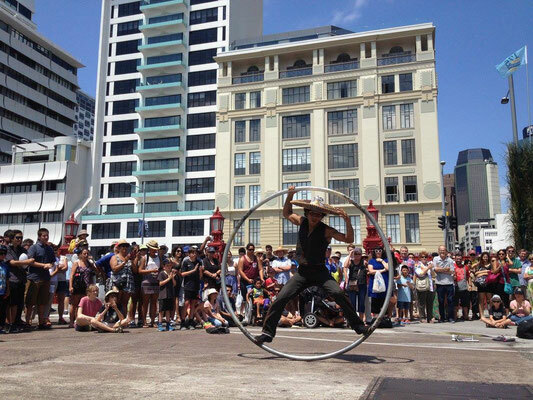 Get hypnotised by the beautiful moves of the human body inside a large, single wheel naturally using the force of the inertia harnessed over years of practice. 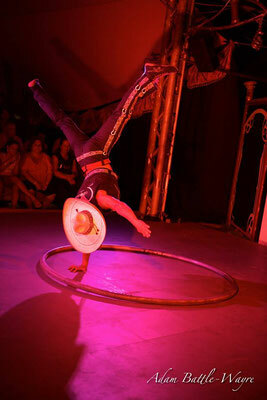 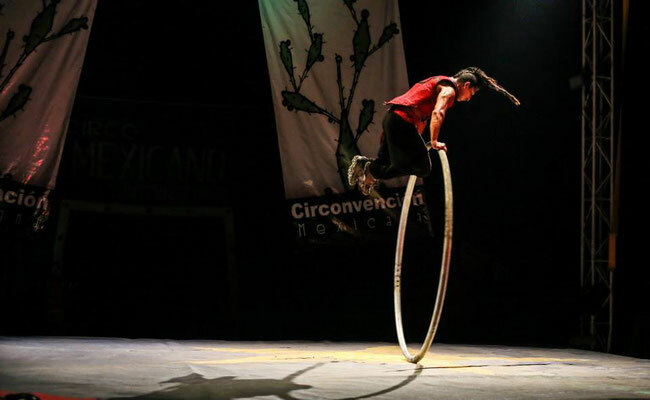 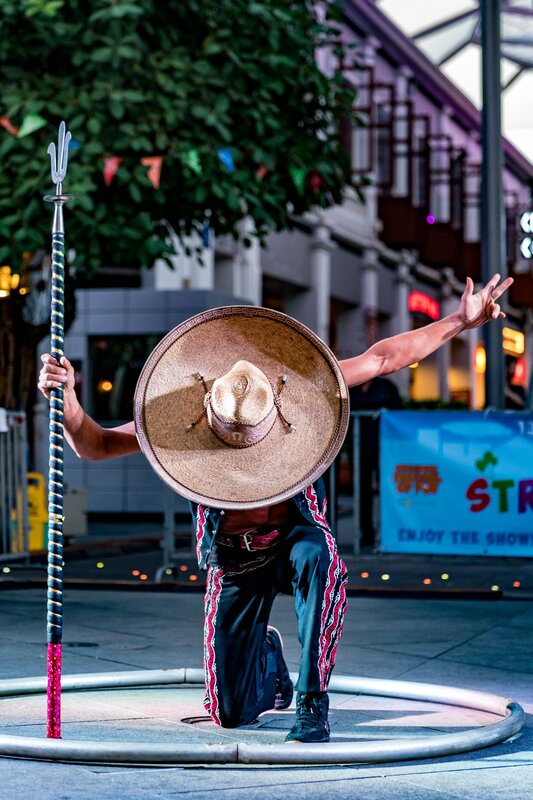 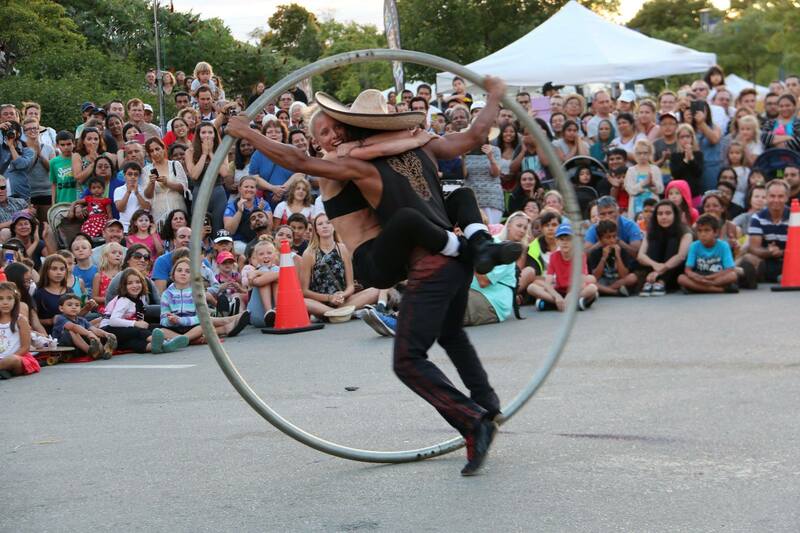 Pancho Libre does Cyr Wheel 4WD style, constantly pushing the limits. 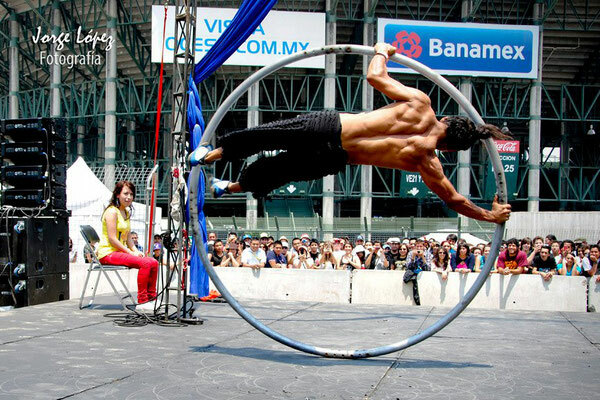 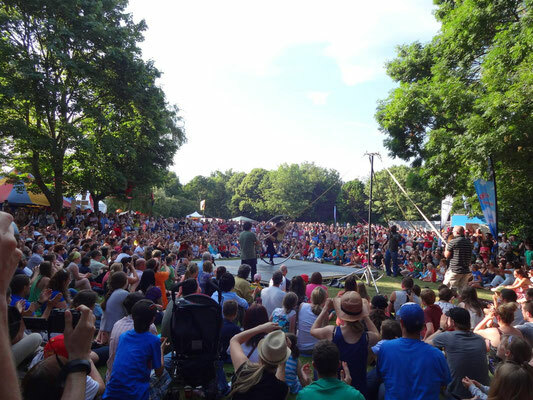 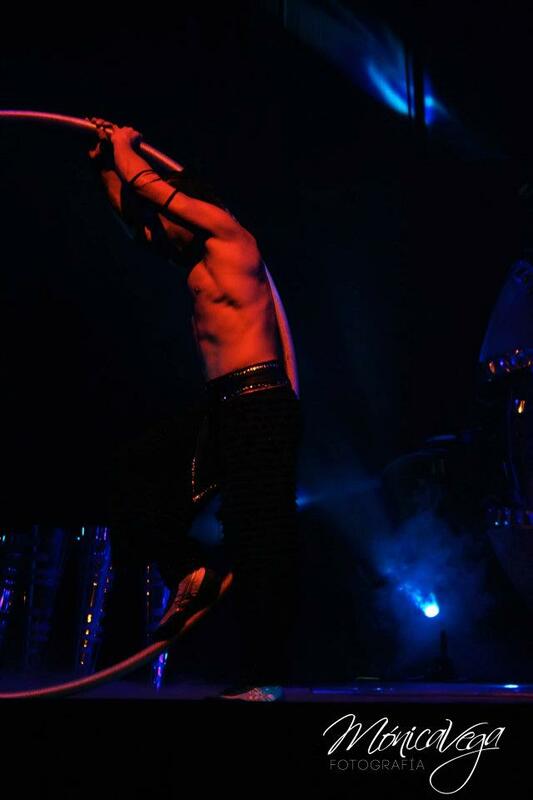 Can be performed indoor or outdoor and on most stages. 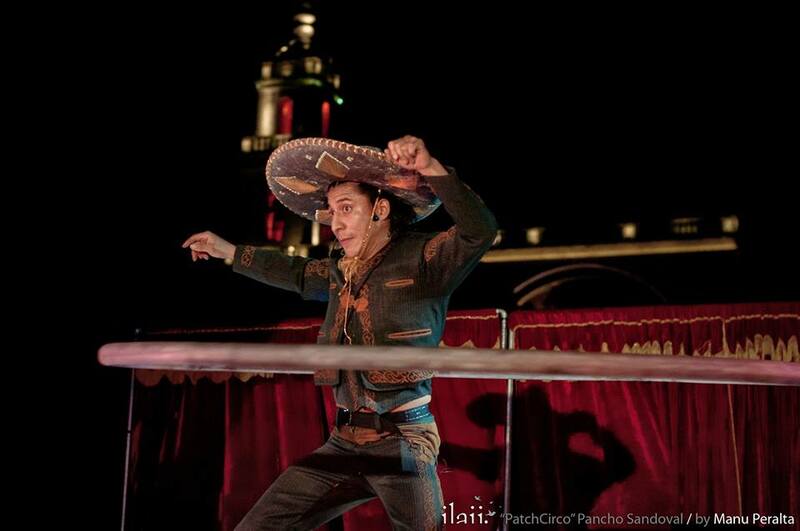 Pancho has a selection of music tracks and costumes to choose from.